Founded in 1935, Avery Dennison is a global leader in pressure-sensitive technology and innovative self-adhesive solutions. Avery Dennison develops, manufactures and markets a wide range of products for consumer and industrial markets, including Avery-brand office products, Fasson-brand self-adhesive materials, peel-and-stick postage stamps, reflective highway safety products, automated retail tag and labeling systems, and specialty tapes and chemicals. 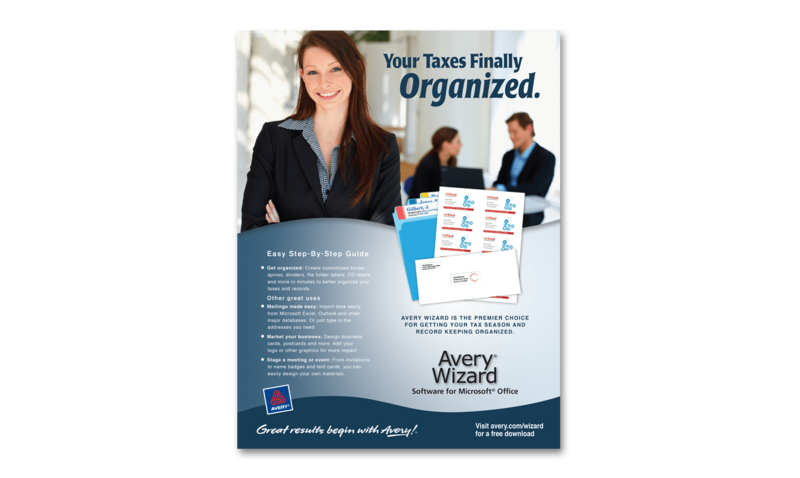 Avery wanted to promote their Wizard Software and their Universal Package Tracker to the small business market. The company sought to develop a branding message and identity for their online presence and email marketing – specifically, their Personal Creations Division. 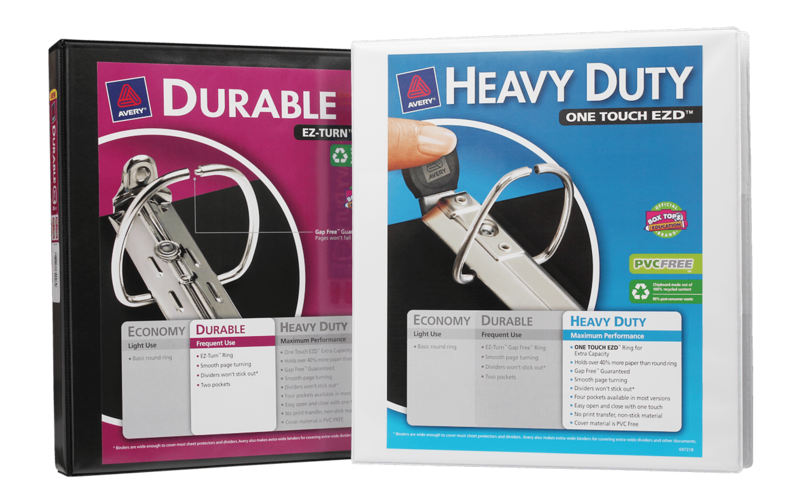 They also wanted to update their binder inserts to visually differentiate the specific category levels to consumers. I worked with Avery Dennison to design and create a series of print trade ads, gearing messaging toward optimization, organization and simplification for the office. 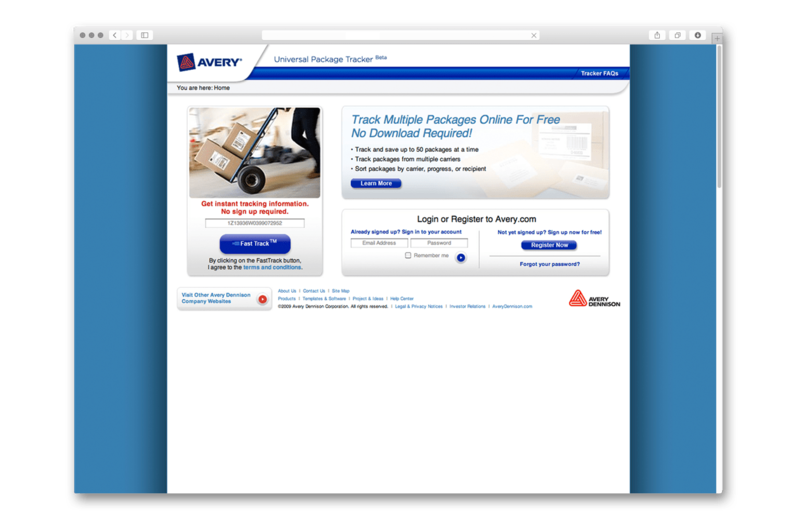 During this campaign, traffic on the Avery website to download their free software increased by 50 percent. 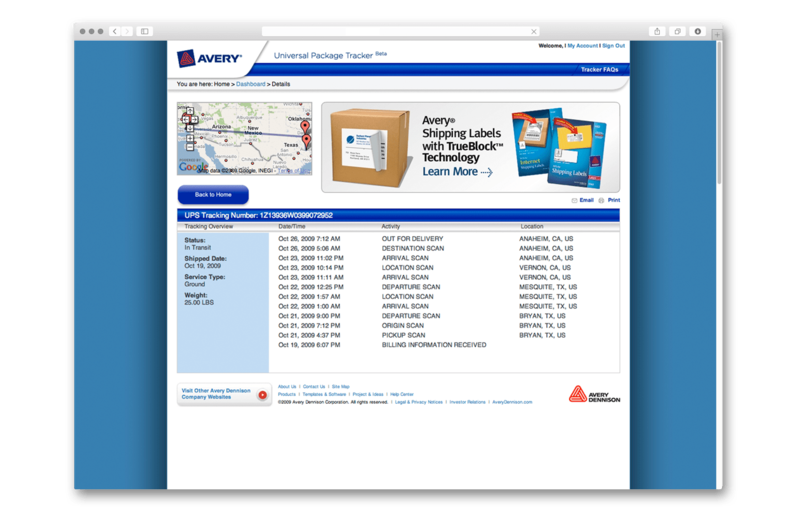 I also developed a user interface for their Package Tracker to drive additional traffic to their website. 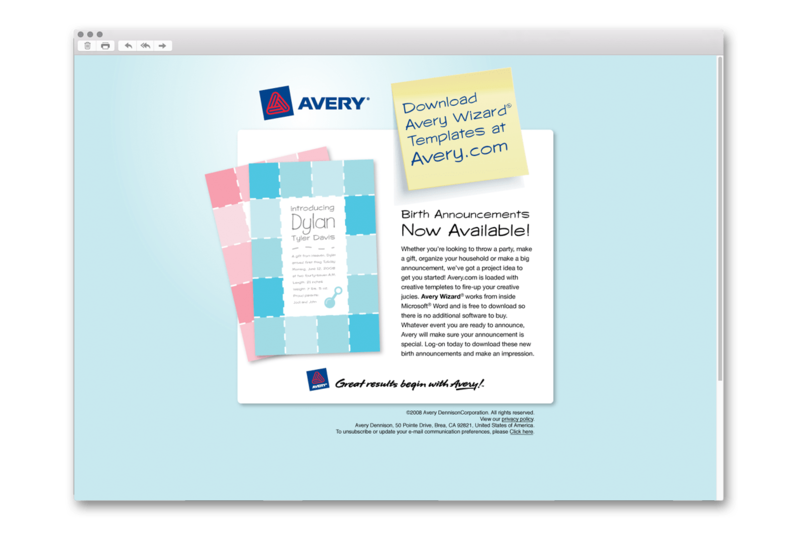 I also helped to create a new vision and presence in the form of an email blast announcing various craft ideas available for the customer using Avery products from the Personal Creations Division. In addition, I designed a matrix graphic system to differentiate their binder categories, clearly listing the benefits of each. Avery has been very pleased with all of the creative concepts I have provided, which have been complete successes.